Jim Bohannon is exiting the syndicated America in the Morning following the Friday, December 18 program. Bohannon has hosted the show since its debut in 1984. John Trout, a long time CHR morning personality and programmer at stations including WSTO Evansville, WHOT Youngstown and WKST Pittsburgh before moving into television and radio news and meteorology will take over starting January 18, 2016. Bohannon will continue to host Westwood One’s Jim Bohannon Show weeknights. Westwood One announced today that Jim Bohannon will be leaving his hosting duties on America in the Morning after the broadcast on December 18, 2015. Jim will continue to host the long running and successful Jim Bohannon Show. 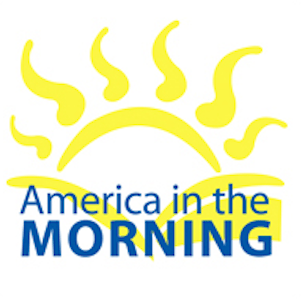 Bohannon has been the sole host of America in the Morning since its first broadcast in 1984. The program, a lively blend of news, weather, sports, business and interviews, airs more on more than 250 stations nationwide. Bohannon is passing the reins to veteran broadcaster and regular guest host John Trout, who officially takes over on Monday, January 18, 2016. Sorry to hear. Always liked Jim on that show. That said, the guy needs some sleep. Late night talk show then a 5AM News/Info hour. He needs some rest. Aren’t you glad you got rid of that “Rock Starski” air name Gary Hoffman gave you in the mid 80s at WNAP? I heard Jim mention this, just this morning and my heart sank! I will miss him, but have come to enjoy John Trout….so I guess he will now be my Morning Man! Congrats to Jim on a well deserved retirement (if you can call it that) and to John for his new gig!